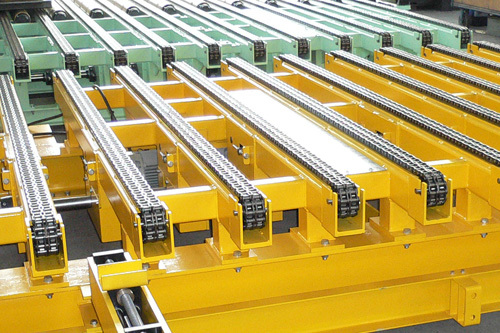 You can obtain a wide range of conveyor technology from us. 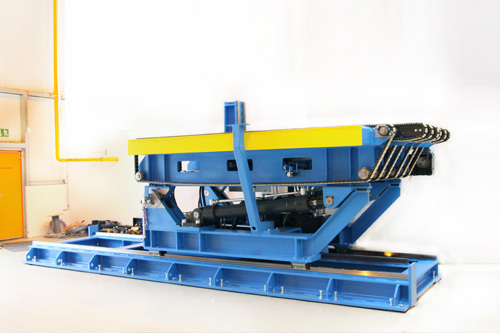 In the area of belt conveyors, we supply a range of products from individual belt conveyors with height and width adjustability to complete component outlet sections. 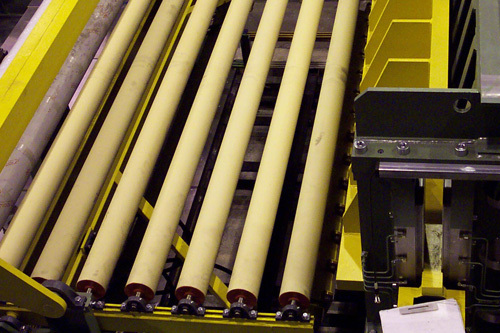 If you require roller conveyors, then you will find the right one with us. 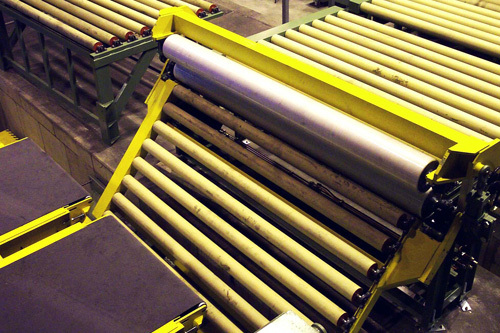 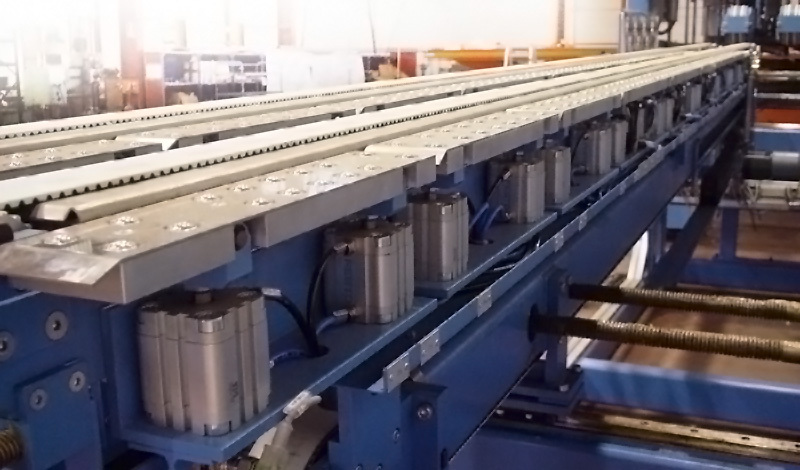 We can produce both driven and non-driven roller conveyors for both light and heavy applications for you. 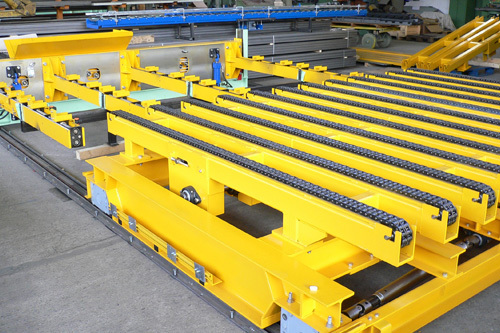 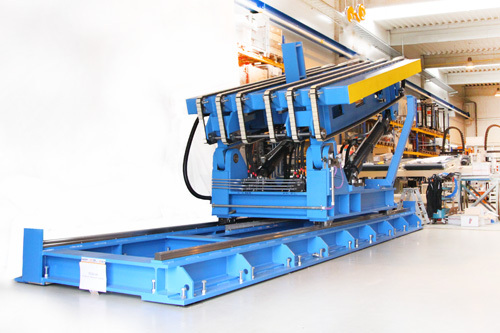 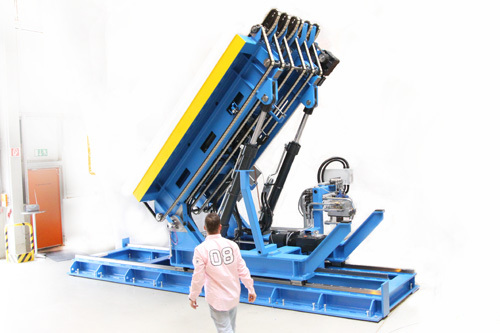 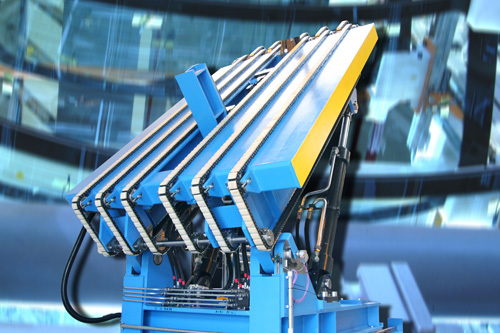 The tilting table is designed for the vertical takeover and subsequent 90° tilt of the Steel-Coils.